I’ve used Doxie scanners since 2011, and I’ve always liked them. 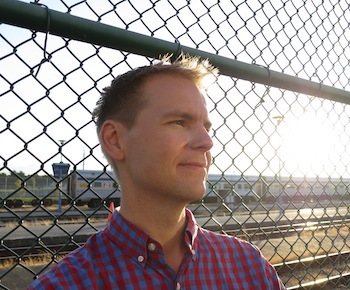 They’re simple to use, portable, and have friendly, functional software. Older models did have some limitations though, and the new Doxie Q is the company’s attempt to take the product line to the next level. When I saw the announcement email for the Doxie Q, I asked if they’d hook me up with a review unit. They braved the Canadian border and shipped one over. While the Doxie scanners have always been portable and easy to use, they’ve had two limitations: they only scanned one piece of paper at a time, and they only scanned to JPG. If you wanted a multi-page PDF, you’d have to scan each page individually and “staple” them in the software and export to PDF. It wasn’t the end of the world, but it was extra work that the user had to do. With the Doxie Q, both of those are solved. 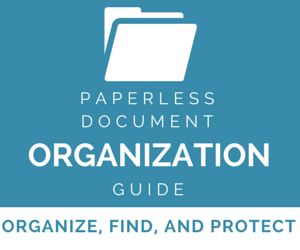 It includes an 8 page Automatic document feeder, and you can scan straight to a multi-page PDF. 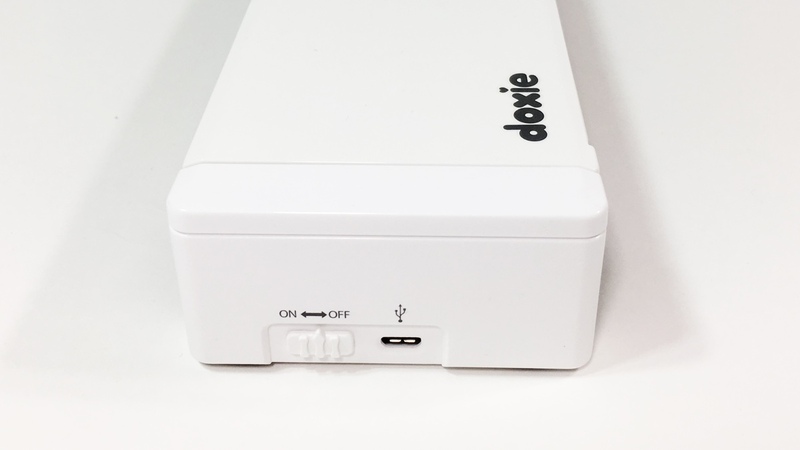 Like previous Doxie scanners, the Doxie Q has an on-board battery and an SD card slot, so you can scan without being connected to a computer. You can also connect via Wi-Fi to import wirelessly. They’ve thrown quite a bit of stuff in the box this time. Besides the scanner, there is a power adapter for charging, an assortment of worldwide plugs (nice touch), a protective sleeve for delicate documents, a microfiber cleaning cloth (nice touch #2), and an 8 GB SD card with adapter. There’s also a clever how-to-scan one-pager that teaches you how to use the Doxie Q to scan while scanning. More scanner manufacturers should include something like this. As expected, the Doxie Q is larger and heavier than previous Doxie scanners. It is 11.5 x 3.1 x 1.6” (29.43 x 8 x 4 cm) and weighs 1.79 lbs (0.81 kg). So, it’s definitely portable but not forget-you-have-it-in-your-bag portable. Speaking of portability, there is a carrying case you can buy for $19. Unlike other scanners, with the Doxie Q you don’t scan “to” a computer. All scans are saved to the SD card, and then you need to import them to your computer or mobile device. 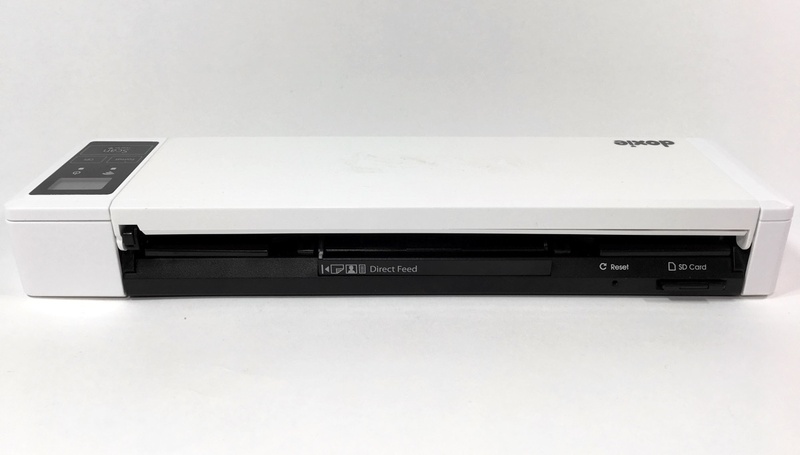 Once you’ve scanned, you can plug in the USB cable, pop out the SD card and import the scans to the Doxie app, or you can connect to your computer or mobile device via Wi-Fi and transfer the scans wirelessly. 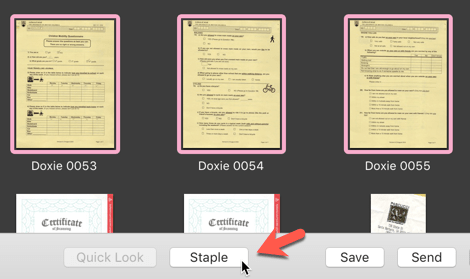 When you plug in the scanner to your computer via USB, the Doxie app will recognize your scanner, and then you can import new scans. You can also pop the SD card out of the back of the Doxie and plug it into the card reader of your choice. The Doxie app will recognize the scans and import them. I have found this to be the most convenient method. You can import scans via Wi-Fi to the Doxie app. When you hold down the Scan button for a few seconds it will enable Wi-Fi. The Doxie Q will create its own network, and you can connect directly to it with your computer or mobile device. 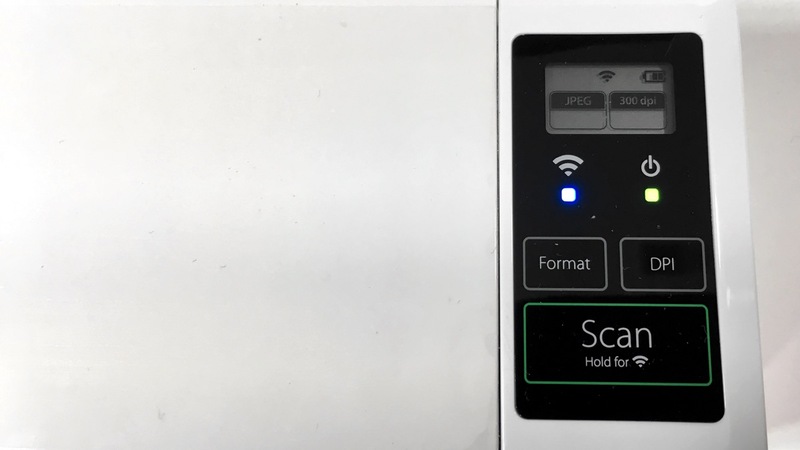 You can also have the scanner connect to your wireless network, so as long as you’re on the same Wi-Fi network you can import the scans. This is what I do 99% of the time. While the scanner can import via Wi-Fi, you can’t scan directly to a cloud service. 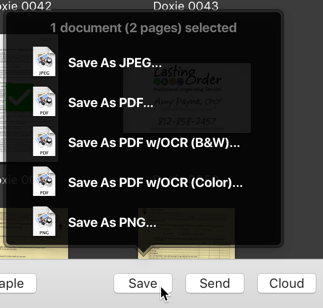 You need to scan to the Doxie software on your computer or mobile device and then send it to Evernote, Dropbox, Box, or other cloud services. 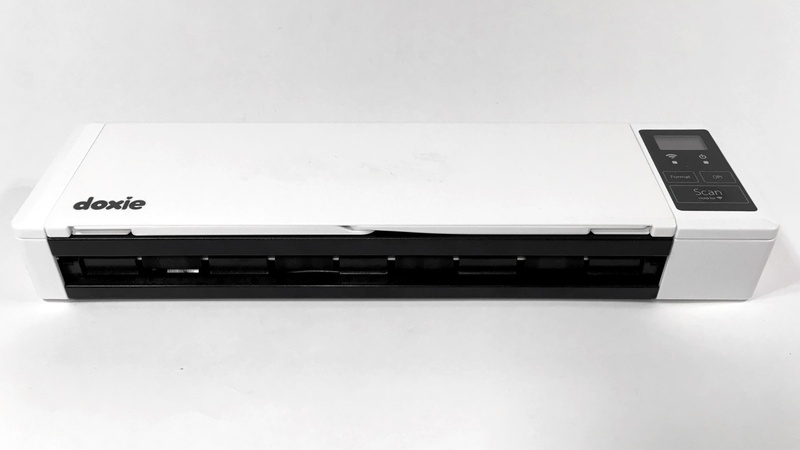 Use the document feeder for scanning up to 8 pieces of paper. Use the direct feed slot at the back for one-at-a-time scans. Great for receipts, photos, and documents you don’t want to bend as they go through the document feeder. 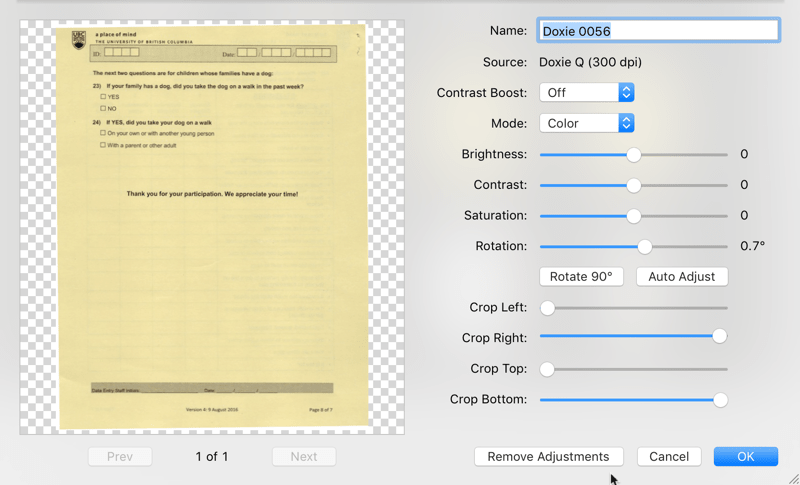 The Doxie Q lets you choose between scanning to JPEG or PDF. Quality wise, you can scan at 300 or 600dpi. There are buttons on the scanner to choose how you want to scan. 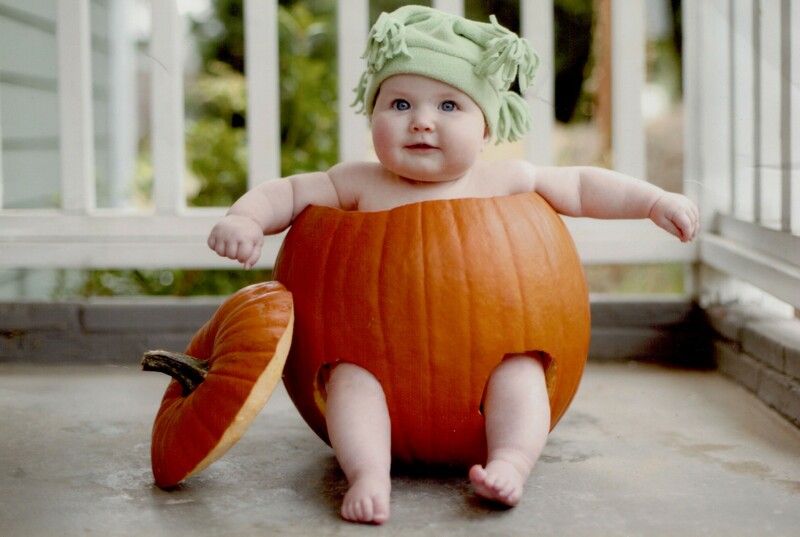 If you choose JPEG, it will create one JPG file for each page that you scan. 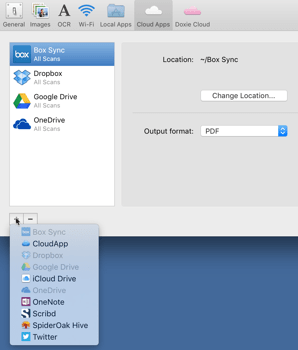 If you choose PDF, it will create a multiple page PDF for all documents you place in the document feeder. 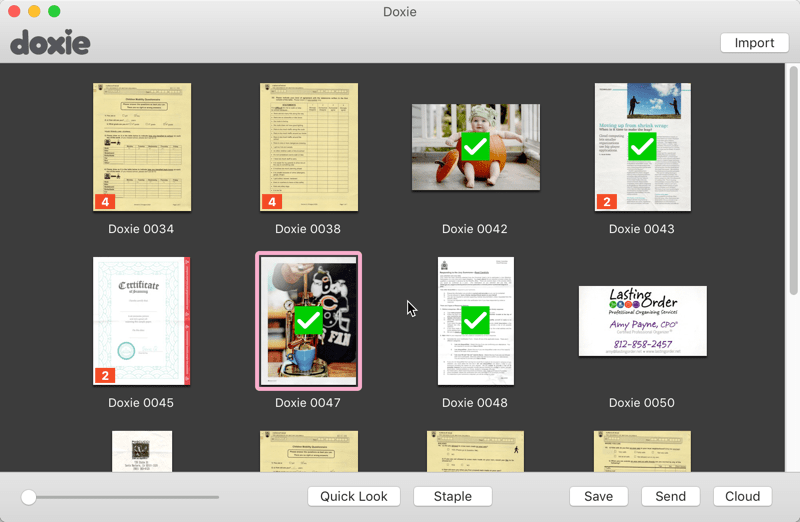 If you’d like, even if you scan as JPEG you can export a PDF from the Doxie software later. The big addition with the Doxie Q is the document feeder. 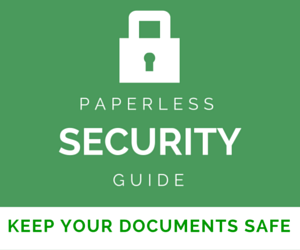 It holds a maximum of 8 pages, but if you’re scanning thicker paper you’ll want to have a few less pages. 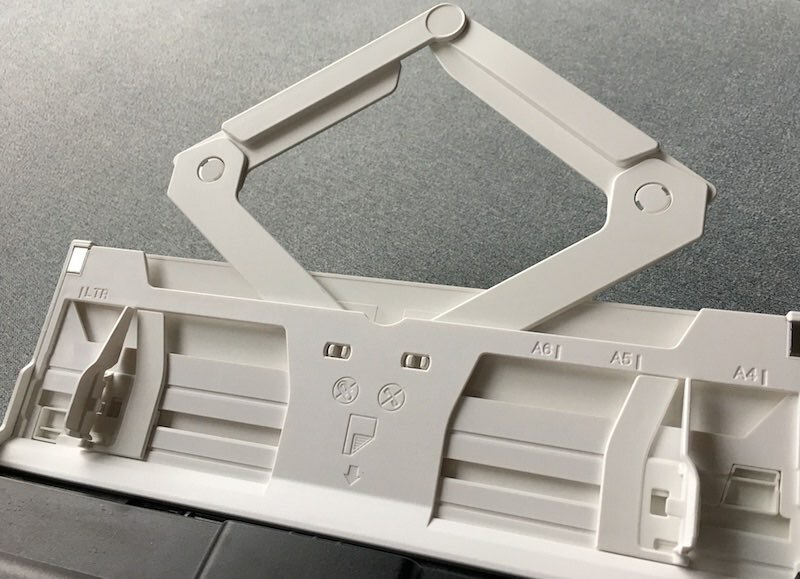 When you flip open the cover, you there are paper guides that you flip open and then you can open up a cool paper support arm. I’ve found that the document feeder works quite well, though it doesn’t have the grip or precision of something like the ScanSnap. 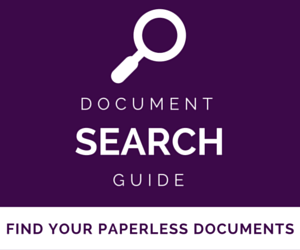 You need to make sure that the paper is under the tab of the guides, and you’ll have best results if the documents you’re scanning are all the same width. One note: be careful when closing the top of the scanner. I had a bad habit of closing the top while forgetting to close the paper guides. It was never a problem, but if you press down on the top hard enough I could see them breaking. Just remember to close the guides before closing the top. 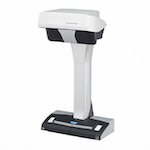 If you have one-off scans or receipts, cards, or fragile items you don’t need to go through the document feeder. You can direct feed them flat through the back of the Doxie Q and they’ll come out the front. The scanner comes with a protective sleeve if you don’t want the rollers touching your document. When I started scanning with the Doxie Q, I realized something – it only scans single-sided. There’s no hardware duplex capability (meaning it doesn’t scan both sides of the page). I did some digging on Doxie’s site (this isn’t mentioned in any of the documentation that comes with the scanner that I could see), and found that while this is a conscious design decision, they do have a solution. We’ve crammed a lot in Doxie Q to fit in a battery, display, on-device interface, standalone CPU (no computer required), and lightweight design. Another image sensor would take considerable space and power. Instead, we chose all of the modern amenities listed above instead. Doxie Q’s one-click Interleave feature makes it extremely easy to scan any double-sided documents you may have. Stick the paper in the document feeder face down. Set the Doxie Q to scan PDF. Hit the Scan button and let the stack run through. 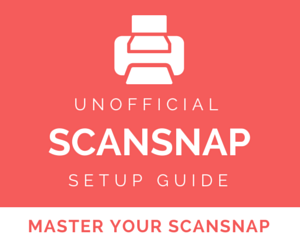 Flip the paper over and hit the scan button and let it scan the other side of the stack. Import the scans into the Doxie software. The Doxie software will magically mix them together with the pages in the right order, as if it had been scanned double-sided. This whole process isn’t as complicated as it might sound above – the Doxie site has some good videos that show how double-sided scanning and Interleaving works. I can’t decide if this solution is wacky or brilliant (or both maybe! ), but it does seem to work well. Scan quality is a subjective thing, so I’ve done some sample scans and linked to them below. You can download them and check them out. The PDFs are all scanned at 300dpi. You can control the export quality, so to show the difference for the color magazine article I have included exporting at default quality (6/10) and maximum quality (10/10). Obviously, the higher the quality setting the larger the file. The Doxie software is (in my opinion) one of the strengths of the Doxie scanners. It is not a document management software, but has easy-to-use document manipulation and export features. You can think of the Doxie software as a temporary holding area before you save the scans to their ultimate destination. You can combine the pages you’ve imported into one document by selecting them and hitting the Staple button. If you want to do simple adjustments, you can fix the color, rotation (even fine straightening), and cropping using the sliders. 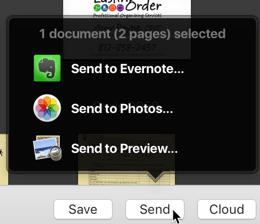 You can once you’re ready, you can hit the Save button to save the scan as a JPEG, A PDF with or without OCR, or a PNG. If you hit the Send button, you can send the scan to an application on your computer. You can add third-party apps in Preferences. The Doxie Q is a big upgrade to the Doxie line. They’ve packed in a battery, a Wi-Fi adaptor, and an 8-sheet document feeder. It would be nice if it scanned duplex, but their workaround does seem to do the job. 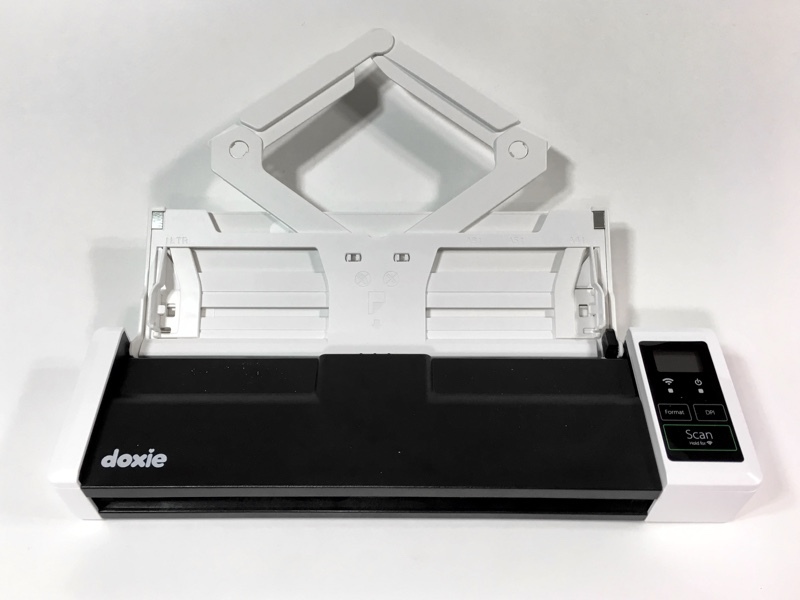 If you want a scanner that can be portable/hide-able (I just made that word up) and don’t want to be tied to a cable or have to feed paper in one sheet at a time, the Doxie Q may do the job for you. It’s available on Amazon as of today.